Queen Mother’s Cup at Smithfield in the shop for Christmas! Rob purchases the winner of the Queen Mother’s Cup at the Royal Smithfield Show auction on 1st December 2012. 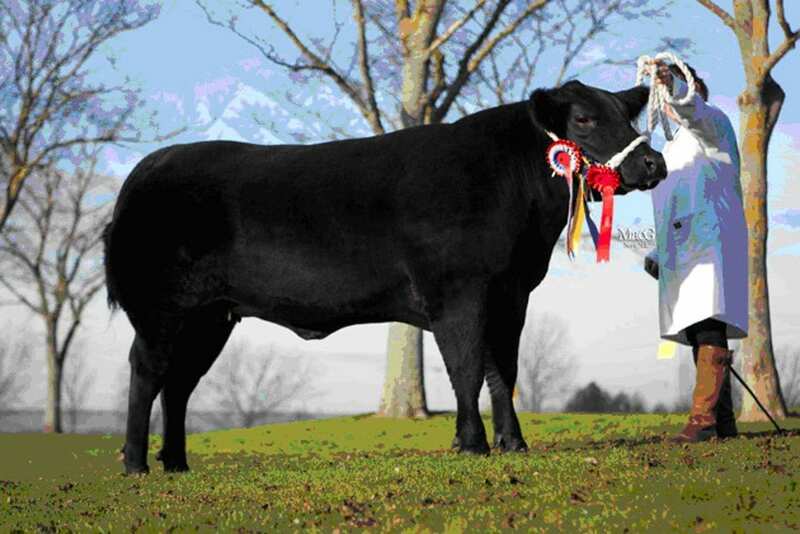 A pure bred Aberdeen Angus heifer, exhibited by Mr Elfed Williams of Sennybridge was the winner of the Native Breed Championship at the Royal Smithfield Show and brings home the prestigious Queen Mothers’ cup. Some 20 years ago this trophy was won by Dai Jones Llanilar for a pure bred Welsh Black heifer and once again the trophy is back in Aberystwyth – and will be at Rob Rattray’s shop for Christmas. Having fancied the heifer at the Welsh Winter Fair, Rob determination to get-what-he-wanted meant a telephone bid to the Royal Smithfield Show Auction on Saturday afternoon and secured what he thought would be prime beef for Christmas. Another telephone bid secured two other Welsh Winter Fair and Smithfield Show prize winners from the Cwmhendryd herd of regular producers Berwyn & Aeron Hughes.